Learn and Play Music at Scottsdale Music Academy in 2018! It’s a new year, and time for a new you! Now’s the time for you to revisit your musical passions and get going on guitar, piano, bass or vocal lessons. And the place to learn is at Scottsdale Music Academy! We’re the hottest music school in Scottsdale, Arizona and we’re ready to move you along your path for musical creativity and fun! With everyone we teach, from young music students (pre-teens and teens) to adult students like Tony, we help to build a technical and musical foundation and find out the student’s musical passions. We learn what instrument the student is most comfortable with, and how best to teach them that instrument. Once we work to get the basics down, then the sky’s the limit! Tony is one of our many students whom we’ve taught how to play acoustic guitar. Check out what he said about Scottsdale Music Academy. 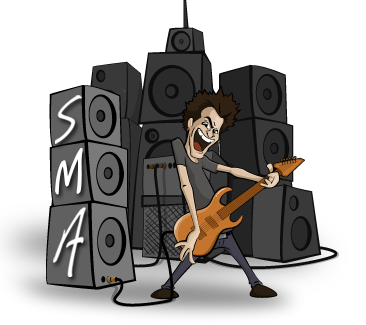 At Scottsdale Music Academy, we teach 6 string and 12-string acoustic guitar lessons, electric guitar and electric bass lessons, piano lessons, singing lessons and also separate band coaching programs to let students know what it takes to succeed in a rock band. Try us out and learn more. Call us in Scottsdale, AZ on 602-751-3527 for a free lesson and intro tour. 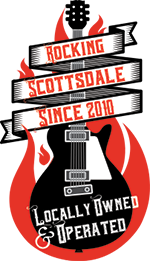 We’re Scottsdale’s leading music instruction academy in Scottsdale, conveniently located near the Scottsdale Airpark and between Scottsdale Road and Hayden Road.